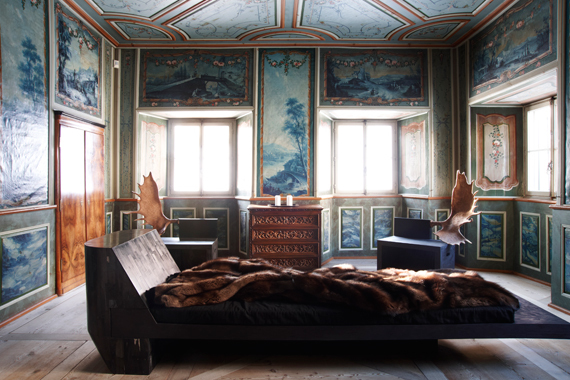 Far off in the magical land of Samedan, a picturesque village 6 km northeast of St. Moritz, Rick Owens has brought his fantasy world to life in the Chesa Planta house. 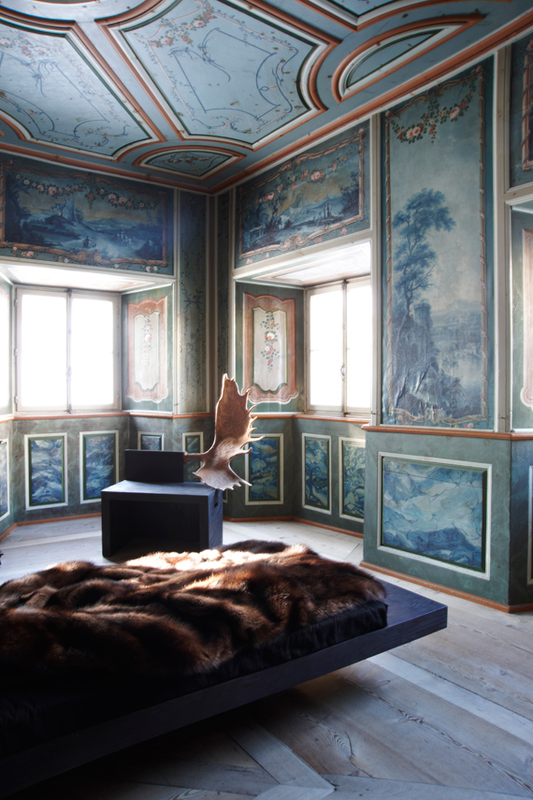 Built in 1595, the house exists today as a museum restored to convey the look of an 18th century Engadin aristocratic home. On January 28th the museum debuted “Magic Mountain,” an exhibiton composed of Owens’ exquisite artisanal furniture designs. The collection, post-modern and minimalistic, is synonymous with his distinctive design philosophy evoking a sense of goth meets luxury. 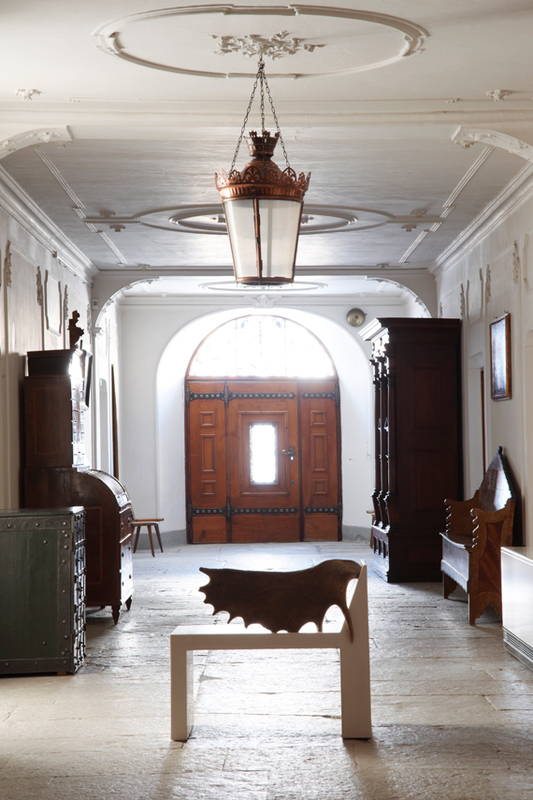 Some of the highlights include bone chairs with stag antler backs, an oversized alabaster bed that becomes translucent in the sun, and a petrified wood sofa.